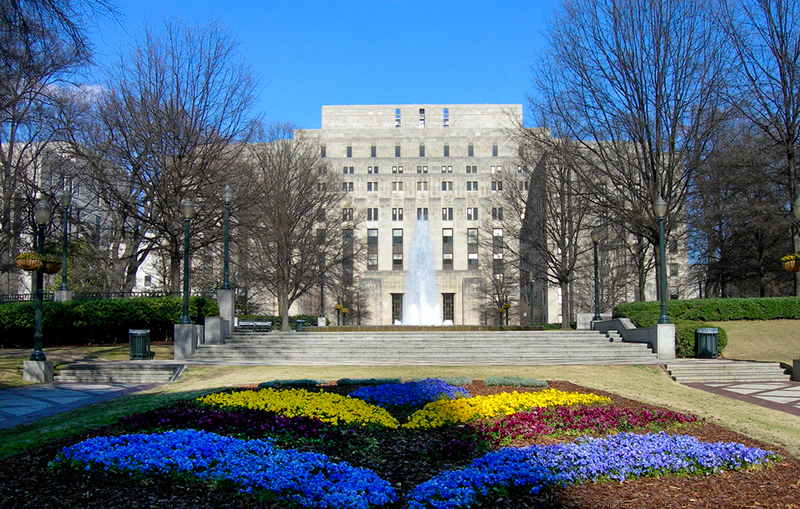 The Jefferson County Courthouse was built in Birmingham in 1931 by the Chicago firm Holabird and Root, which also designed Chicago's famed Soldier Field football stadium. The Art Deco-style courthouse was constructed of granite and limestone. It is on the National Register of HIstoric Places.